The Sun villas all have private pools and great gardens with all facilities you could need. Set in a peaceful location with two blue flag beaches close by the Sun Villas are a fantastic place to spend your holiday. Each has 3 bed and bathrooms and can accommodate up to 6 people. Each villa comes with a large garden area and a barbecue for you to to enjoy al fresco eating on your large patio area. You can also take in the views while relaxing on your private sunbeds in the glorious Kefalonia sunshine. 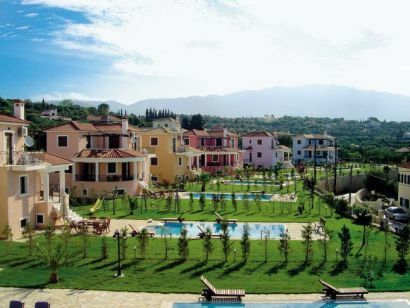 The Sun villas are an ideal holiday sunspot in Sovronetta Kefalonia. 1. You can check the Sun Villas availability and package prices at Thomson Holidays. 2. 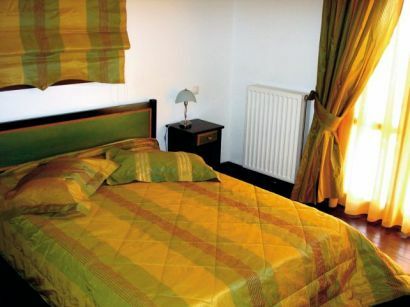 You can also book and check prices at Sun Villas with First Choice the cheap holiday specialist.